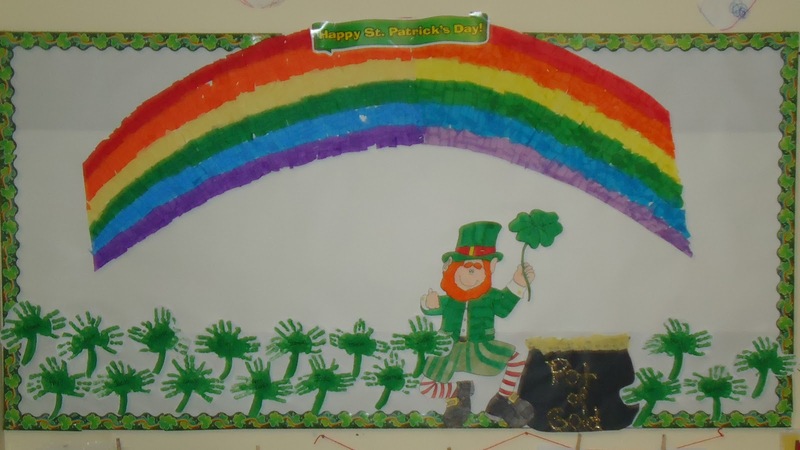 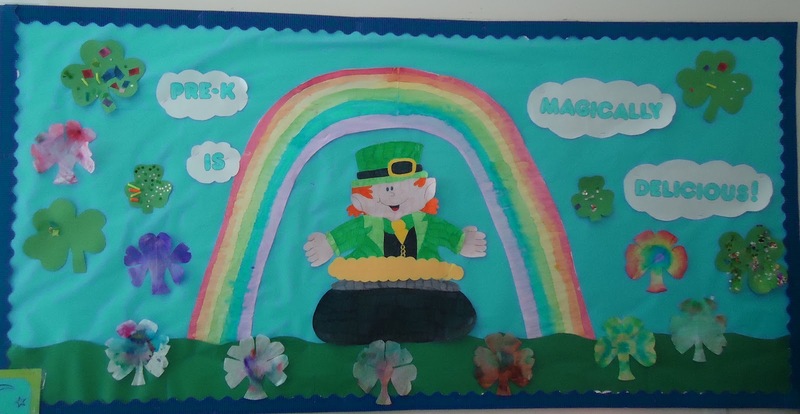 We've been gearing up for St. Patrick's Day, getting our bulletin boards ready to display all the wonderful masterpieces the kids have been coming up with. 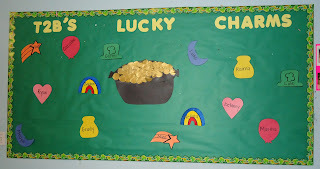 I often use the caption "Pre-K Lucky Charms" or "Mrs. Ayn's Lucky Charms" but since a few other classes went with that this year before I got my caption up, we went with "Pre-K is magically Delicious!". 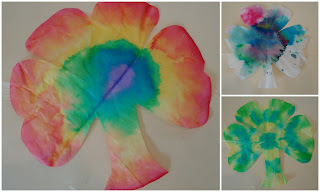 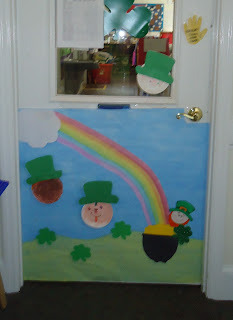 Also available in our art center is a wide variety of collage materials and some shamrock cut outs. 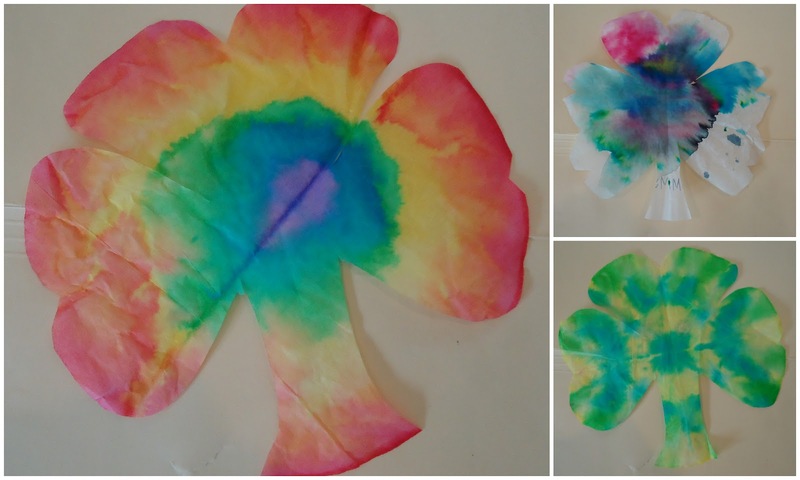 Since our kids LOVE glue, this is another popular art activity. This is our door decoration. 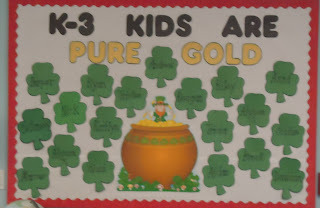 I frequently visit other classrooms and see what they are up to. 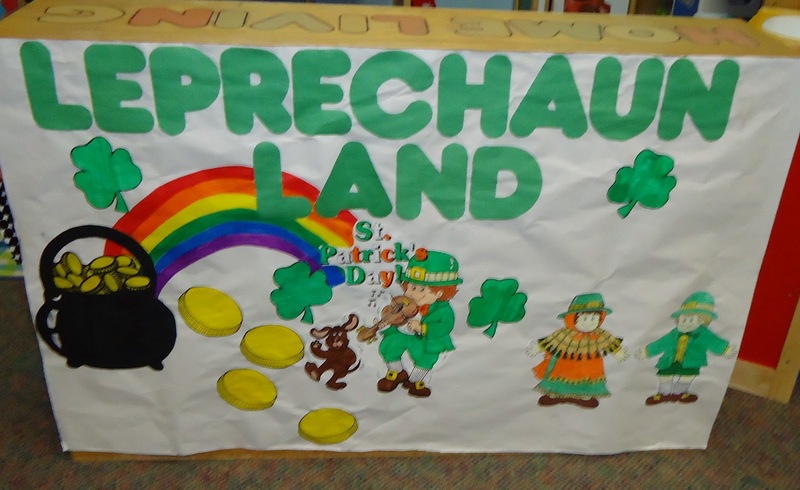 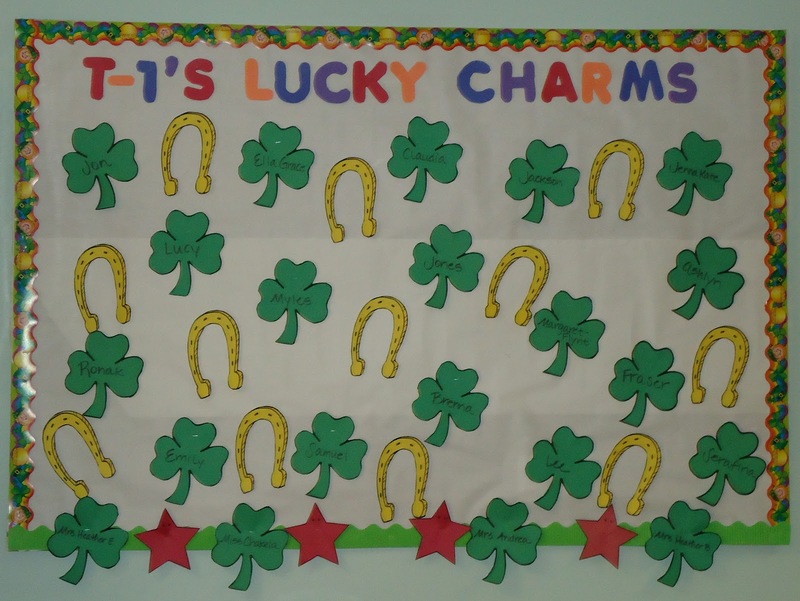 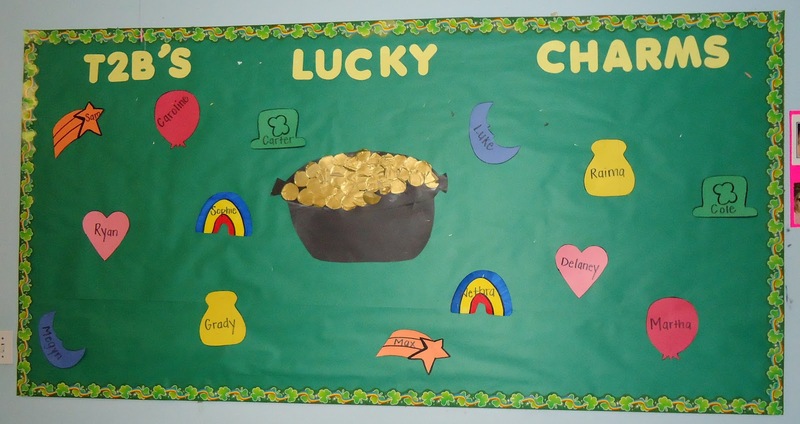 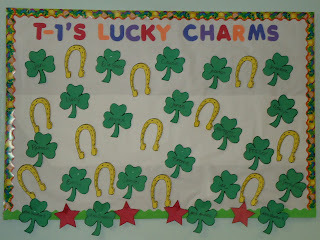 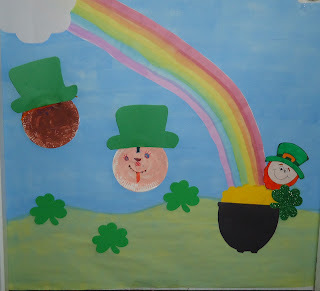 Here are some of the bulletin boards that other teachers in our center have up for St. Patrick's Day.